Mr. D’Airelle was born in Leeds in the United Kingdom and has been teaching internationally since 1998 in Indonesia, Singapore, Ukraine and Germany. He completed his Bachelor of Science degree and Master’s degree at Aberdeen University, and holds a second Master’s degree in Education from Framingham University. Mr. D’Airelle has worked across the whole IB continuum, having been a PYP, MYP and Diploma teacher, and has experienced first hand how students grow in a hands-on, inquiry-based learning community. Having been an Environments Leader for the MYP, Mr. D’Airelle has a deep commitment to sustainability and loves to lead students as they explore the natural world around them. Ms. Edwige Singleton is from France but has spent the last twenty years living on the East coast of Africa. Edwige has a Master Degree in Education and a Certificate in International School Leadership. Edwige has spent the past fourteen years in Johannesburg, South Africa, teaching French whilst leading various cohorts to graduation. Her hobbies include a keen interest in the arts as well as a love for travel. Edwige, together with her husband Steve and their daughter Rose, is excited to embrace a new culture and is delighted to be part of the WISS community. Ms. Renee Couturier is from Canada but has lived in the Middle East for the past 13 years. She has 18 years of experience as a teacher and administrator in Ontario, Canada and overseas. She holds a Bachelor of Education from Université de Moncton, and a Master of Educational Leadership and Principal Certification from The College of New Jersey. She loves to travel and spend quality time with family learning about new cultures. Renee, with her husband Tony and daughter Emma, are excited to be a part of the WISS community. Mr. Chris Wilcox hails from the United States of America. 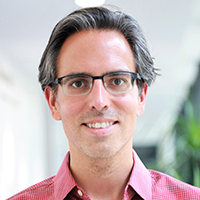 Chris earned his Bachelor’s degree in Public Policy from the University of Chicago and his Master’s degree in Private School Leadership from Columbia University’s Teachers College. Chris has over a decade of experience in a variety of teaching and administrative roles at private independent schools. 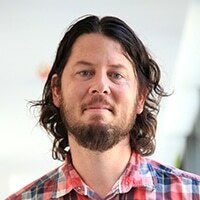 Most recently he served as the College Counselor and Upper School Dean of Students at BASIS Independent Silicon Valley, a STEM-focused private school in the San Francisco Bay area.. As a former Latin teacher, Chris enjoys engaging with students in all things Roman. In his free time, he and his partner enjoy hiking, biking, and exploring the world. 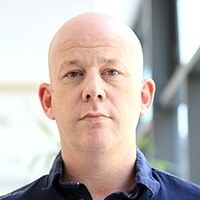 Mr. Stewart Paterson is from central Scotland. He obtained his bachelor’s degree in Sports Studies, Professional Education and Physical Education at the University of Stirling. Stewart started coaching sport at the age of 16 and spent many of his summer months during university coaching a variety of sports in New York. Stewart is deeply passionate about the role sport can play in pupils life’s and he enjoys working with pupils to improve their leadership skills and confidence. Stewart likes to believe he is a good all-rounder and he particularly enjoys football, badminton and volleyball. Mr. Jeff Handley is a Canadian who spent three years teaching in Kuwait prior to joining WISS. Before his time spent in Kuwait, he was a substitute teacher in Canada. Jeff has a Bachelor’s of Science degree in Human Kinetics as well as a Bachelor’s of Education specialized in Biology, Chemistry and PE. He is excited to be joining the WISS community and exploring all that Shanghai has to offer. Jeff’s interests include sports, music, and travelling and experiencing new cultures. He is excited to help foster students’ inquiry based mindsets at WISS. John Slack hails from the sunny shores of Lake Erie, in gorgeous Cleveland Ohio. Over the past 15 years, He has lived and taught science in many exciting places including New York City, Xiamen, Peru and Qatar. He has a Bachelor’s degree in Anthropology and a Masters degree in Education. John is married into the Chinese culture as his wife Wendy is native born Chinese, and hails from the Anhui province. Together, John and Wendy have two children attending WISS, their son Johnny and daughter Ava. Finally, John enjoys reading, learning Mandarin and the adventure that an expat life brings. Lina Hurst-Mawasse grew up (mainly) in Germany. 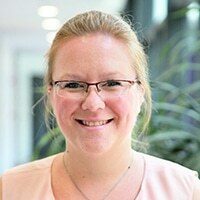 She loves to learn and holds a BSc in Biotechnology from RWTH Aachen University, a BSc (Hons) from Vic Uni in Wellington, and a Masters degree and PGCE from the University of Bath. Following her teacher training, she taught Physics at a boarding school near Bath for three years before teaching Science and IB DP Physics at international schools in Dubai and Oman with her husband Michael, a PYP classroom teacher. Lina loves to see her students excited about anything sciency and is very happy to be a part of the WISS community. Ms. Terri Mosher was born and raised in Nova Scotia, Canada. She earned her Bachelor of Science specializing in Biology and Chemistry, as well as a second Bachelor’s degree in Education from Acadia University in Nova Scotia. In 2006, she moved with her family to Dalian in the north of China where she taught high school Math, Biology, and Chemistry at a Canadian School. Her husband and three daughters, Ireland, Cierra and Trinity, are proud to be a part of the WISS family, and Terri is very excited to engage her students in the wonders of Science. Philippe Roy is a French/American dual citizen from Pennsylvania, USA. He has a Life Science degree, a PA teaching certification in biology and chemistry, and some Masters’ work in inductive teaching and curriculum planning. He taught in Pennsylvania, Korea, and China for 6 years. Prior careers include database administration and sales management. His daughter, Leila, is a PYP student at WISS with grand aspirations of being a super hero. Sherry Ye graduated from Shanghai Institute of Technology with a Bachelor degree in Applied Chemistry and holds teaching certificate for high school chemistry. She has been working in international schools as lab assistant for over 6 years and is always eager to expand her personal and professional development. In her spare time, she likes travelling, reading and listening music. She is excited to be part of the WISS community. Ms. Rosalinda Carvalho is Portuguese and first graduated from the University of Minho in International Relations Economics and Politics. She worked in accountancy until she decided to pursue her teaching passion. 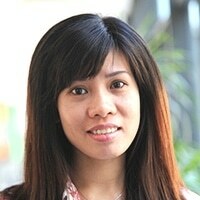 Rosalinda got her degree in Education and a Postgraduate in Special Education. Later she got her Master in Science of Culture Specialization in Children’s Literature at University of Trás-os-Montes and Alto Douro. Rosalinda has taught Portuguese and English in Portugal and has worked in Angola across the three IB programmes as a Language and Literature teacher. She enjoys exploring creative writing with her students. Rosalinda has published several children’s books in Angola. Joyce Zhou received her B.A. in Teaching Chinese as a Foreign Language from East China Normal University. After graduation, she spent three years teaching Chinese and studying in various places, including Shanghai, England and HK. In 2014, she earned her Master’s Degree at the University of Hong Kong. Before she joined WISS, she worked as an IB Chinese teacher in HK and Shenyang. Joyce is pleased to be part of the WISS community and she enjoys helping each student to know more about the language and Chinese culture. Shichun Liu, born in Heilongjiang, spent 7 years in Beijing, gained her Bachelor degree in teaching Chinese to speakers of other languages from China Women’s University and Master degree in teaching Chinese to Speakers of other languages from Beijing Language and Culture University. She taught Chinese languages at the Beijing Language and Culture University and Qinghua University. She was teaching 3rd graders, 6th and 7th graders in a Chinese immersion school in South Carolina, USA before she came back China. She enjoys teaching as a Chinese Language teacher and loves working with students exploring Chinese language and Chinese culture. Miss Zheng is from China, she previously worked in Mandarin Immersion Schools and an international school in US. Xue has a bachelor degree in English Language and Literature, a MA in Linguistics in China and a MS in International Education in Florida State University. Language learning and teaching is Xue’s passion; she enjoys bringing her own language and culture learning experience into the classroom. Traveling is her other passion, she has been to 21 countries so far. Xue is excited to join WISS to have adventures with students in language and culture exploration. Huihui Lai grew up in Shanxi Province. She graduated with a bachelor’s degree in Chinese Language and Literature from Lüliang College, and a Master’s degree in Teaching Chinese to Speakers of Other Languages from Beijing Language and Culture University. While pursuing her Master’s degree, she spent two years teaching Mandarin at an Elementary school Georgia, U.S.A. as part of her educational and professional development. Outside her profession, HuiHui enjoys reading books about literature and educational development, exploring the outdoors, and international travel. She is excited to be a part of the WISS community. Jiawei Wang, born in Heilongjiang, and received her B.A. in English from Mudanjiang Normal University and M.A. in teaching Chinese to speakers of other languages from Beijing Language and Culture University. She taught Chinese at North China Electric Power University, Beijing Language and Culture University and Tsinghua University. Before joining WISS, she was an editor working on Chinese teaching materials including IB Chinese textbooks for Chinese learners in Joint Publishing (H.K.). A life-long learner, she brings her passion and commitment for working with students and the skills to meet the unique challenges and opportunities that a diverse student body brings. Mr.Colin Mosher is from Nova Scotia, Canada. He received his BA from Acadia University and furthered his studies by becoming certified in teaching EAL. In 2006, Colin and his wife Terri along with their children moved to Dalian, China where they lived and taught for 5 years. In 2011, Colin joined the WISS community in Secondary as an EAL teacher. Colin is very passionate about providing language support to students in need and very much happy to be a part of the WISS family. Jaimi Litus was born and raised in Southern California. She has lived and worked in Hawaii, Nicaragua, Vietnam, and Germany before moving to Shanghai. She has her Bachelor’s degree in English Literature and a Masters degree in English Education both from Rutgers University. She is passionate about literature and loves to discuss it with her students. In her free time enjoys reading at cafes, surfing, traveling, meditating, and going to concerts. She has a cat named Dracula and she has been skydiving three times. She is excited to be part of the WISS community. 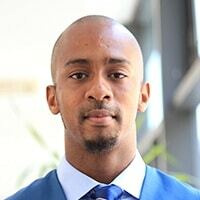 Mr. Stanley is from Washington DC and received his BA in Communications from Howard University. Leonard began working with children at age 18 and has since worked with students from all over the world in Washington DC, Xian, and Shanghai before coming to WISS. Also a parent at WISS, Leonard is enthusiastic about being able to have a positive contribution to the WISS community by providing language support to those in need. Mr. Stanley looks forward to receiving as much from the students as he gives as he is a firm believer in the reciprocal nature of teaching. 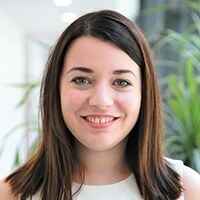 Ms Vanessa Ness is originally from Wales but has spent time teaching English as a foreign language in Greece and Taiwan. More recently she spent the last five years teaching English Literature and Language in an inner city London secondary school. Vanessa has a Bachelor’s degree in English Literature, a Postgraduate Certificate in Education and a Master’s degree in English Education. Vanessa is now part of the WISS community along with her son Max. Her hobbies include reading, travelling and personal development. She enjoys discussing literature with children and being part of the creative process literature can inspire in us all. Johnetta Starks graduated from the University of South Florida where she received a B.A. in Education. She has experience teaching English Language Arts at the primary and secondary levels in the state of Georgia. She earned her Master’s Degree in Literacy at Walden University. Before joining the WISS community, she worked in leadership to initiate the implementation of Personalized Learning through an inquiry-based approach with-in her school district. She believes that all students possess unique gifts and talents that are encouraged through creativity, communication, collaboration, and critical-thinking. She is excited to nurture the future leaders and innovators at WISS. Ms Fischer is from Santiago and has she taught at two schools in Hong Kong before coming to work at WISS. Her background is in second language acquisition and learning, ESL, Spanish for foreigners, general humanities, linguistics and literature, and earned her Master of Education degree at The University of Hong Kong. She enjoys teaching and working collaboratively with her students and colleagues, and inspires in her students a love towards language learning and multicultural understanding. She is happy to live in Shanghai’s diverse and thriving international community with her husband and two young boys. Ms. Frasquier is from Barcelona, Spain. She has received a Bachelor of Translating and Interpreting English, French, Spanish and Catalan and a Master in Teaching at the University Pompeu Fabra in Barcelona. Prior to coming to China, she lived for four years in Nebraska where she taught French and Spanish for native and non-native speakers. She is in Shanghai with her husband who works as a chef in a restaurant in the French Concession. Before coming to WISS, she worked at Hangzhou International School as a long term substitute for French and Spanish. Ms. Frasquier is very passionate about teaching Spanish and is excited to be part of the WISS community. Ms. Claudia Romeo is from Argentina, where she has been a teacher for 20 years. 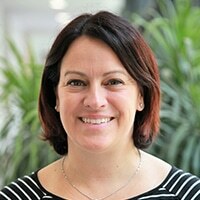 She has taught History to exchange students at a private University in Buenos Aires for 12 years, and during the past 8 years she has been teaching IB Spanish and French, both as Language Acquisition, IB Spanish Language and Literature and Social Studies in an International School in Buenos Aires. 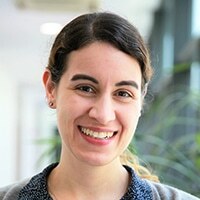 Ms. Romeo holds Bachelor´s degrees both in International Relations as well as in Political Science, and is currently undertaking a Masters in Education from SUNY University. Her hobbies include cooking, yoga, and writing short stories for children. Jörg Strehler is from Switzerland and earned his first Masters Degree in Geography from the University of Zurich and the University of Sheffield. After discovering his passion for teaching he got a second Masters Degree in Secondary Education also from the University of Zurich. He is fluent in several languages and likes reading, travelling, mountaineering, sledging, and many kinds of sports. 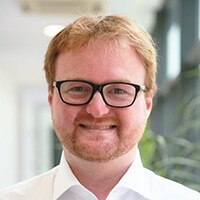 Living in China over the last few years has been in many ways both astonishing and enriching for Jorg and he enjoys working in an international setting together with diverse students and colleagues. 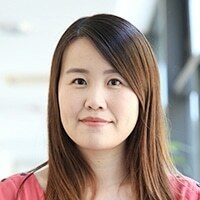 Ms. Hyejin Lee is from Seoul, Korea. Prior to WISS, she taught at a university in Korea and international schools in Thailand and Brazil. 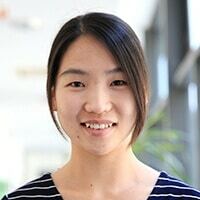 Ms. Lee has a BA in Korean language and literature from Sangmyung University, an MA in Education in language from Yonsei University, and an MS in Multidisciplinary studies from SUNY Buffalo State. She believes in the power of education to transform one’s mindset, regardless of age, ethnicity, class, or gender. Ms. Lee loves doing yoga and pilates, traveling, listening to music and reading. She is pleased to be a part of WISS and open to exploring Chinese culture. Mr. Ioannis Daglas was born in Greece and graduated from the University of Patras in Greece with a Bachelor’s degree in Mathematics. 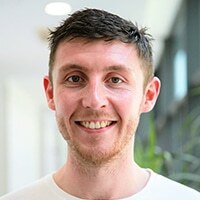 After having completed a Postgraduate Certificate in Education at the University of Brighton in England, he spent the next few years teaching mathematics at a local secondary school. In addition to teaching the UK curriculum, Ioannis gained MYP, IBCP and DP experience at an international school in Berlin. Ioannis has a passion for teaching mathematics and he is very excited to be a member of the WISS community. Mr. Christopher Cotton is from Toronto, Canada but has spent the last eight years teaching internationally. He has taught in Canada, England and Kuwait. Chris has a Bachelor of Science in Mathematics and a Bachelor of Education. He has known ever since elementary school that he wanted to be a secondary school math teacher and it’s his mission to show students that calculus can be fun! Chris is a part of the WISS community with his partner Ashley, a grade three teacher. Although a math geek at heart, he is a heavy metal music fan and spends his summer at music festivals/concerts. Mr. Denes Tilistyak was born in Hungary, graduated with a BA in Mathematics and English Language and Literature and, a month after receiving his diploma, found himself on a plane headed for New York City. He taught Secondary Mathematics in the Big Apple for three years before moving on to the Philippines to teach in his first international school. After teaching DP Mathematics in Cebu city for two years he moved on to Xiamen, China to teach MYP and DP Mathematics. In addition to holding the position of the Head of the Department for two years and then of the DP Coordinator for another two years he also became an MYP Mathematics Moderator and DP Mathematics Examiner. 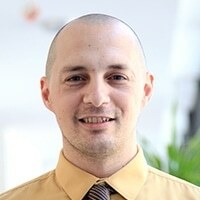 Mr. Piotr Obidzinski comes from Poland, where he studied and obtained a master’s degree in mathematics with specialty of applications and teaching. 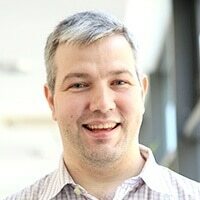 For a dozen years, Peter worked as a research scientist and taught mathematics subjects for economists at the University of Szczecin and at the same time, he also worked in several international schools in Poland with the IB program, teaching mathematics. He is excited to be a part of the WISS community. His goal is to share with students his passion for mathematics and to support students on their own path of inquiring exploration. His hobbies include an interest in sport activity, playing guitar and traveling around Asia as often as possible. 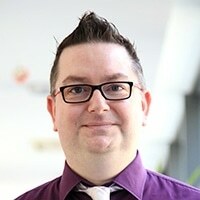 Mr. Paul Matheson has a BA: History and Political Science from the University of British Columbia, a BEd: Secondary Education degree from the University of Toronto, and he has recently completed an MEd: International School Counseling degree. Mr. Matheson is committed to international education, and has taught at schools in South Korea, Kuwait City and The Bahamas. Before becoming a teacher, he worked as a software engineer at Apple, developing the iWork suite. His hobbies include traveling, kayaking and playing the piano. Mr. Matheson is so pleased to be working at WISS! Miss Kelsey Gibb is from Falkirk in central Scotland. She earned her Bachelor of Arts Degree in Business Studies and Professional Education from the University of Stirling in 2013. After teaching in Scotland for 5 years, Kelsey decided to take the leap in to international teaching and is very happy to be a part of the WISS staff as a humanities teacher. 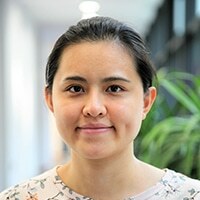 She enjoys visiting a variety of countries and learning about different cultures so she is happy to be a part of the international Shanghai community. Her hobbies include socialising with friends, fitness and hill walking. 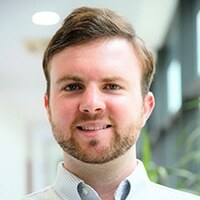 Mr. Barnaby Morgan is from Australia but is a global citizen who sent much of his childhood in Asia and has lived and taught in the United Arab Emirates, Ukraine, South Korea and Vietnam. Barnaby has a Bachelor’s degree in Archaeology and Ancient History, a Master’s degree in International Business and Economics and a Postgraduate diploma in Teaching. His hobbies include cricket, Australian Rules Football and Muay Thai kickboxing. Barnaby enjoys entrepreneurship and investing and is inspired by the energy and drive of young people in these fields. He is very happy to be part of the WISS community. 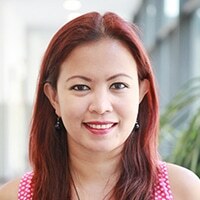 Mrs. Jeannine Laurens is from Amsterdam, the Netherlands; but has lived in different countries including Northern Ireland, Australia and the Philippines. She has been teaching Geography for more than 13 years. Jeannine has a Masters degree in Human Geography and a Postgraduate Certificate in Education. She loves to travel the world and is passionate about running. Furthermore, she enjoys giving bootcamp and running training to students. Jeannine is very compassionate as she runs a foundation which supports impoverished children in the Philippines. She has moved to Shanghai with her husband Frank. Her son Noah and daughter Lucy are both students of the school. Mr. Nicolas Elguea is from Spain and has been passionate about music all his life. He obtained his music teaching degree in his home country, later moving to Chicago where he earned his bachelor’s and master’s in orchestral studies at the Chicago College of Performing Arts in the specialty of clarinet. He has extensive international experience performing in symphonic orchestras and bands touring in the US, Spain, France, Italy, and Japan. In 2010, he joined the British School of Navarra, Spain as a primary music teacher; this gave him a remarkable perspective in international education. Nicolas joined WISS in August 2012; he loves being involved in all musical projects supporting students all across school; encouraging young performers and instilling appreciation and love for music. Jacqueline Mirtic is from Richmond Hill, Canada and is passionate about teaching and traveling abroad. She holds a Concurrent Bachelor of Music degree and Bachelor of Education degree from Queen’s University in Kingston, Ontario. Jacqueline is a saxophonist and loves to perform in symphonic bands, jazz ensembles, and choirs. She has taught MYP Music since 2011, and loves working within the IB programme. She previously taught Vocal Music and was the Choir Director at AIS Kuwait for 3 years. Most recently, she taught Instrumental Music and was the Band Director at LCIS in the Bahamas for 3 years. Jacqueline is excited to be a part of the WISS team and continues to enjoy her hobbies of music and travel in and around Shanghai. Hannah is a performing arts teacher from Canberra, Australia. She has a Bachelor’s degree in Education and has taught dance and drama in schools across Australia and Germany. She has also choreographed and directed numerous plays and musicals with youth companies, providing valuable theatre experiences to young people. She is a ballet teacher, and has supported students in gaining professional opportunities in the industry. She is very excited to be part of wonderful creative arts team at WISS-where the arts in an integral part of the school community. Ms. Laura Guay is Canadian and met her husband while teaching in South Korea – it was love at first flight. She and her husband Todd Hurst have lived and taught in South Korea, Canada, Wales, Thailand, Vietnam, Brazil and now China. Laura has a Bachelor of Arts in History from the University of New Brunswick and a Bachelor of Fine Arts with a specialization in Art Education from Concordia University. Laura loves art and believes that she is the luckiest teacher in school because her subject is the most colorful. She loves running around her children Miles and Ella who are students at WISS and she loves crochet, yoga, books, sketching, painting, traveling and laughing… a lot of laughing. She loves inspiring students to find art in the world and let it inspire them. Ms. Vanessa Vanek has been an art and design educator for over 20 years with sixteen of those being as a certified teacher. She started teaching art in the Kansas public schools and moved overseas in 2007 to teach art in international schools in Bangkok, Thailand and Songdo, South Korea. In 2014, she taught art and design classes at an international school in Tanzania. Vanessa has a BFA in Design with a concentration in Textile Design and has her graduate teaching certificate in Visual Art Education both from the University of Kansas. She is originally from Lawrence, Kansas and is excited to join the WISS community, to be back in Asia, and to be able to visit places where some of her relatives lived at one time in Shanghai and Suzhou. Al McDowall is delighted to be working in the performing arts team, bringing with him over fifteen years’ experience of technical theatre in the UK. He has worked in almost every area of production, from lights and sound to set construction and even performing on occasion. He is excited to be working with the theatre manager in all the productions and events we host here at WISS. Joseph Mercurio was born in Melbourne and raised in Fremantle, Western Australia, before moving to work in Sydney. He has worked in a wide range of styles (from dance through opera, corporate and architectural) in Australia and internationally. Joseph was lighting designer Props Field of Play for the Closing Ceremony of the Sydney 200 Olympics. He has collaborated with leading theatre makers, including Stephen Page, Angela Chaplin, Sue Healey, Juliàn Fuentes Reta, Phillip Adams, Natalie Weir, José Coronado, Roger Hodgman, Chrissie Parrot and Graeme Murphy. An ongoing commitment to education has seen him lecture in many schools and universities during his career. He was Lighting Coordinator at Western Australian Academy of Performing Arts (Edith Cowan University) for 4 years. 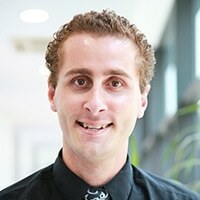 Joseph was the Coordinator of Performance Technology at the Victorian College of the Arts and Music (University of Melbourne) for five years. He has given workshops on lighting at Beijing International Biennial, Hong Kong Academy of Performing Arts, TIA Madrid and Prague Quadrennial. Steve is from Hastings, New Zealand and came here with his wife who works in primary at WISS. Steve came to be the Performing Arts Administrator for WISS by a ‘stroke of luck’ with the former Director of Performing Arts Anne Drouet and then Darren Scully. Steve spent 15 years in the construction industry prior to moving to Shanghai, but he enjoys the change and the challenges this role brings in a completely different environment. Steve has not only been behind the scenes but has also enjoyed a more front of house role and being on stage himself. He is a great risk-taker. His hobbies are mainly sports, especially Golf, Cricket and Touch Rugby, but also enjoys meeting new people from all walks of life. 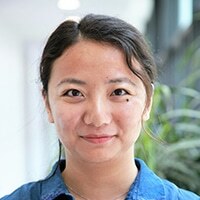 Mei Huang is from the Guangdong Province in the south of China and has been working at WISS since 2013. As the Performing Arts Administrator, Mei is responsible for the organization and running of WISS’s very successful Instrumental Programme as well as the purchasing of all things Performing Arts, ranging from dance costumes to bubble machines. 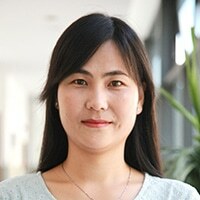 Ms. Eva is originally from Gansu and has been working at WISS since 2006. She’s happy to support the busy Art Department and has been consistently devoted to making all our students creative artwork visible within the school and outside the school in local galleries or exhibition center throughout Shanghai. 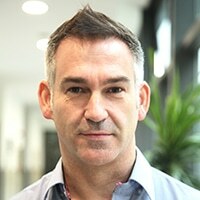 Ian Baverstock is a qualified product designer and educator heralding from the UK and has worked within education since 2001. Prior to joining the international teaching arena he worked for a leading American bank as a risk analyst and educator. He has been fortunate to work within fully accredited IBO World schools throughout his international teaching career and has commissioned either design technology or visual arts teaching spaces within each school. 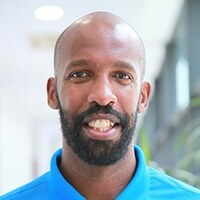 He has been an active member of both the MYP steering and the Resources and ICT development committee, and during his time in Dakar was the Community and Service coordinator working with aid organisations such as Habitat for Humanity. Ian is looking forward to working with the children of WISS to design and create a range of fun and innovative products. Mr. Vaughn Stanley was born in Washington D.C. He earned his Bachelors Degree in Psychology from Penn State University with a focus on Child Development. After completing his degree he worked with E.L Haynes Public Charter School for two years. Mr. Stanley has worked with children in afterschool and summer programs in the Washington D.C area since 2004. His passion for Technology was gained through the numerous programs and classes he took at Penn State. Mr. Stanley hopes to open the minds of the wonderful youth at WISS through his Technology courses. Mr. Tony Anderson holds a Bachelor of Physical Education from Brock University, a Teaching Certification from St. Bonaventure University, and a Master of Educational Leadership and Principal Certification from The College of New Jersey. 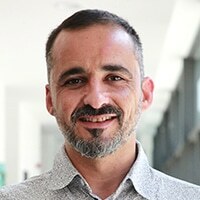 He has 23 years of experience in teaching and as an administrator in various schools in Ontario, Canada, in Dubai, UAE and in Riyadh, Saudi Arabia. He has a passion for sports, is an avid ice hockey player, and relaxes with long rides on his custom chopper! He is at WISS with his wife Renee and daughter Emma. Mr. Chris Barry is a UK citizen, from Oxford, joining the WISS community from Atlanta, USA, along with his wife and son. Chris has held a range of teaching, leadership and management positions within both public and private sector education over the last twelve years. Chris has a Bachelor of Science degree in Sports Science & Health Science (Hons) and a Postgraduate Certificate in Education. Chris is passionate about sports participation and health, and is enthusiastic about encouraging others to participate. Ms. Katrina Clow was born and raised in Prince Edward Island, Canada. She completed her Bachelor of Kinesiology as well as her Bachelor of Education at Acadia University in Nova Scotia, Canada. After graduation, she decided to teach internationally and moved to Shenzhen, China followed by Jeju Island, Korea. She has a wealth of experience coaching and playing volleyball and hopes to help continue a strong WISS program. Ms. Jae Oh is from South Korea but spent most of her life living in Mexico. As former alumni of an IB international school herself, Jae believes in the power of IB Programmes along with Inquiry-based learning. She has a Bachelor’s Degree in Education, a Teaching Credential in Counseling, and a Master’s Degree in Special Education. After three years of teaching at an international school in South Korea, Jae is excited to start a new journey in Shanghai and wishes to continue to guide children grow up as confident adults with high self-esteem and self-regulation skills. Ms. Arina Mei was born in Anhui province, China. She loves being a part of the WISS family. Arina earned her master degree in Applied Psychology in Nanjing. There she gained her certification of National Psychological Consultant and restarted her journey as an educator. She has worked with students of different ages ranging from preschooler to undergraduate. With a wish to help more students with psychological work. She carried out a psychological service project for Left-behind children in Nanjing for almost a year. Before joining WISS, she worked in a bilingual school in Shanghai. Arina enjoys learning about different cultures and is pleased to be in the WISS community. Tammy Xia received her Master’s degree in TESOL in the United Kingdom, and returned to Shanghai to begin her career in 2011. 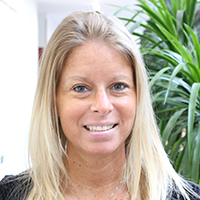 Prior to joining WISS, Tammy had worked as an administrative assistant for two years in another international school in Shanghai. In her spare time, she loves photography, traveling and experience new cultures, and is excited to be joining the WISS family. Ms. Wang graduated from Shanghai University with a Bachelor degree in History. She joined the WISS family in June, 2014. She has worked as Secondary Assistant for 3 years. Then she spent one year in South Korea studying Korean. After one year of language studying she was back to her position in August. 2018. She is very happy to be a member of this wonderful WISS family again. Roshiley holds a Bachelor of Science in Nursing and, as well as general nursing experience, has been a school nurse at another international school in Shanghai. With her team of nurses, Roshiley provides health support to the WISS community and coordinates between parents and school. Roshiley moved to Shanghai from the Philippines with her husband, Denes, and two wonderful boys, Mark and Charles.